This is a pair of Mounted Goliath Tires on Tremor Wheels by HPI Racing. Fits Duratrax Warhead, HPI Savage and other similar Monster Trucks. 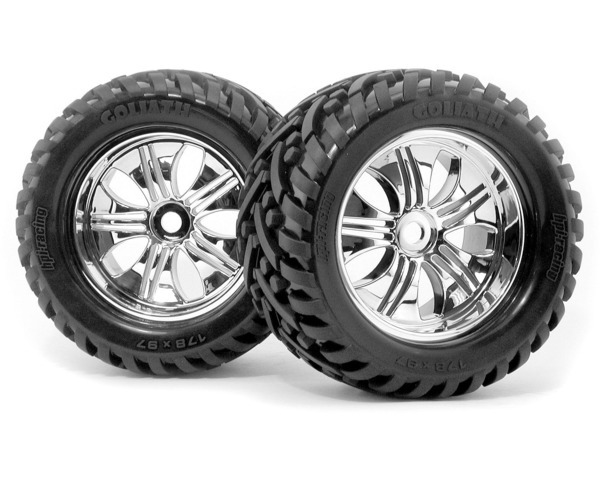 (2) HPI Mounted Goliath Tires on Chrome Tremor Wheels w/foam inserts.